MEXICO CITY (Reuters) -- General Motors outlined plans on Wednesday for investing $691 million to expand its Mexican operations, including the previously unannounced expansion of its Toluca engine plant. The plans include a new factory in Silao in central Mexico to build 8-speed transmissions and an upgrade to an existing factory in San Luis Potosi that will make next-generation transmissions, GM Mexico President Ernesto Hernandez said in a statement..
With numerous free trade agreements, a cheap, well-educated labor force, and proximity to the lucrative U.S. auto market, combined with growing demand in South America, automakers have been lining up for two years to set up shop or expand in a country that some analysts believe could eventually overtake Brazil as Latin America's biggest economy. "The automotive sector is today one of the pillars of the national economy, representing more than 20 percent of manufacturing GDP and continues to be, for many reasons, a fundamental industry in attracting investments to productive sectors of the economy," Hernandez said at a press conference in Mexico City with Mexico President Enrique Pena Nieto. GM's investment will boost employment and development in Silao, San Luis Potosi and Toluca, Hernandez said. GM did not say how many jobs it will add in Mexico, where it employs 15,000 people at four complexes and its headquarters in Mexico City. The U.S. automaker builds the Chevrolet Silverado and GMC Sierra pickup trucks in Silao; Chevy Sonic and Captiva, and Cadillac SRX vehicles in Ramos Arizpe; and the Chevy Aveo, Trax and Tracker vehicles in San Luis Potosi. GM, which has operated in Mexico for 78 years, has the second largest vehicle output in Mexico, behind Nissan, according to the Mexican Auto Industry Association. Mexico is the eighth largest producer of vehicles in the world. In January, the company said it would invest $1.5 billion in its North American plants this year, as part of the $8 billion the Detroit automaker has said it will annually put into its worldwide operations. Of the $691 million announced on Wednesday, $211 million will be spent on the expansion of Toluca, where GM builds V8 and four-cylinder engines. It did not elaborate. Of the rest of that investment, GM will spend $349 million for a new transmission plant in Silao that will build 8-speed transmissions, and $131 million to expand the next-generation transmission plant in San Luis Potosi. GM didn't provide details on the new transmissions. The $480 million newly announced to be spent at Silao and San Luis Potosi is part of $900 million GM in July 2011 committed to spend in Mexico. In July 2012 it said it would spend $420 million at its San Luis Potosi and Silao plants. GM also said its in-vehicle OnStar service that connects drivers to live operators for directions or emergency help is now available on select cars in Mexico. OnStar has more than 6.5 million subscribers in the United States, Canada and China. 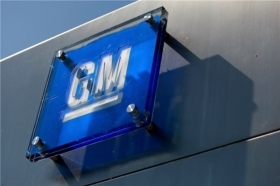 GM previously said it planned to expand OnStar into Mexico. The company also said it will invest $133 million to add a third stamping press at its assembly plant in Wentzville, Missouri. Construction will begin in July and GM expects the press to be operational by early 2015. The Missouri plant builds full-sized vans and will eventually add GM's next-generation mid-sized pickups to its lines. The press expansion will create or retain 55 jobs.